We often get questions about what the "right" trees, plants, and flowers are for customers to choose. While there are endless options, it is important to consider what zone you live in to give the plant the best chance at thriving. We have put together a list of options with which we've had great success, but if you have a tree, plant, or flower in mind but don't see it below, please call us! We would be happy to accommodate your preferences as best we can! These Knockouts are simply breathtaking. 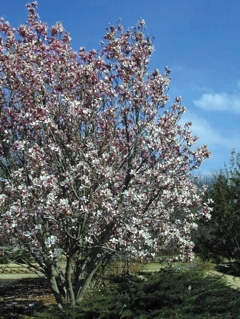 Blooms maintain a continuous show of color from early June to hard frost with beautiful foliage. 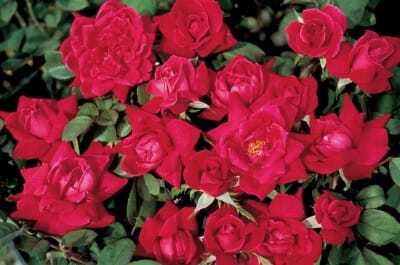 Their winter hardiness and shade tolerance make this a big hit. A grass like shrub used to make colorful borders or to highlight a group planting. This attractive evergreen shrub has upright stems and heavily divided foliage and showy flower spikes. A shrub that features a dense habit and grows upright. A shrub with large leaves and vigorous growth. A dwarf shrub that features a dense habit and spreads well in most soils. A large and impressive native tree, with a thick trunk and stout branches. Does well in alkaline soils. Golf ball sized acorns. A shrub that forms a large compact mound with vigorous growth. Extremely dense in habit and foliage. 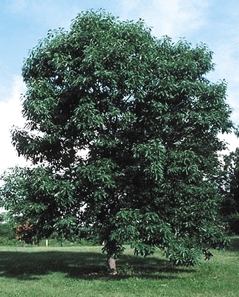 Zone: 6, Height: 36-42", Spread: 36-42"
A durable and adaptable oak with handsome glossy foliage. This native of the Midwest has a reputation for performing well in alkaline soil. An excellent substitute for Pin Oak. Fast growing. October Glory is a round headed selection which is the last cultivar to color in the fall. Better adapted to areas with mild winters and hot summer temperatures. Reminiscent of Japanese maple but much tougher. This beautiful maple has a spreading canopy with attractive foliage that turns spectacular red an red-orange in late fall. Tolerates heat and alkaline soil. 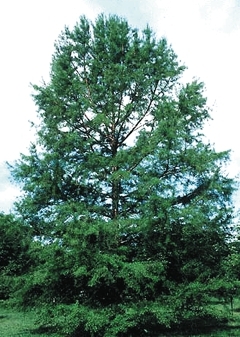 Native to wetlands of the South, the Bald Cypress is also surprisingly tolerant of dry soils. A deciduous conifer, it has done well in urban street plantings. Fern-like tree. A native to China, it has a distinctive patterned bark that gives the tree its name. It often fairs better in old age that the American elm. 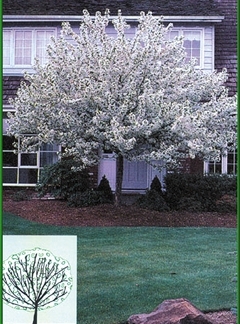 The Lace Bark is easy to care for and is a striking yard or street tree. Desirable ornamental tree with attractive, umbrella-like crown. Lustrous green leaves turn a brilliant orange-crimson in the fall. An outstanding rosy bloom crab. The purple-bronze foliage and bright flowers rival Liset, but Purple Prince does not suffer from stem splitting and is faster growing. This is probably the best purple foliaged crab for growers. One of the most popular crabapples. 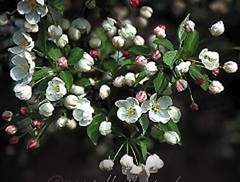 The crown is very uniform and symmetrical, making it one of the more formal looking crabapples. Perhaps the finest purple leaf flowering crab to challenge the purple leaf flowering plums. Flowers are almost the same color as the leaves. panicles of flowers, with characteristics crinkled petals. An excellent evergreen for use as a hedge, accent tree or screen. Glossy, dark green leaves with white spring flowers. One of our most common pine trees. The trunks of Loblolly Pines can be up to three feet wide. The bark is thick, scaly, and dark grey. Disease resistant. 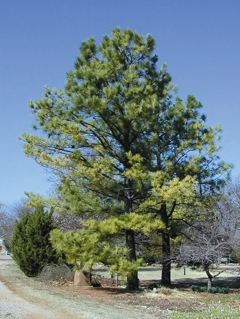 A large evergreen tree, good for screening. Good screen plant, also suitable as small tree. Evergreen.